Is your Honda engine not running right? If obvious issues with fuel and spark have been checked, there’s a good chance it’s an issue with the carburetor. This guide will walk you through diagnosing and repairing your carburetor to get your motor working again. Gas flows in through the fuel line to the float bowl. This bowl has a float connected to a needle valve: once the bowl is full, this float closes the valve, stopping fuel flow. Gas inside the bowl flows into the pilot jet, which maintains minimum fuel flow, and the main jet, which adds fuel as air flow increases. These are located above the Venturi, a restricted airway that increases air speed through the intake to help mix the fuel with the air. The throttle valve is just beyond the Venturi, controlling the flow of fuel and air to the engine. The choke valve is before the jet and Venturi, restricting air flow to increase the ratio of fuel to air. This richer mixture makes it easier to run the engine on cold fuel that doesn’t want to atomize. If everything is working correctly, the float valve keeps just enough fuel inside the bowl to feed the jet, which feeds the right mix of air and fuel into the engine to run efficiently. Most issues stem from gasoline varnishing and either restricting the jets or keeping the throttle or idle valves from moving. To keep this from happening, always use fresh, stabilized fuel, and drain the fuel tank and carburetor when storing your equipment for the season. If the engine only wants to run with the choke closed, the main jet is probably clogged. Once the choke opens, the fuel mixture becomes too lean for the engine to run. On some motors, the automatic choke will engage when the engine speed drops, then disengage once the engine speeds up again, causing it to surge when idling. If the engine doesn’t want to idle regardless of throttle position, the pilot jet is probably clogged. If the seals break down, they can let air into the engine that hasn’t been mixed with gas, leaning out the mixture. This causes overheating and poor performance. Let the engine cool for at least a half hour before attempting this repair. Although the engine may not seem hot, the muffler can stay warm long after the motor has been shut down, making it a possible source of ignition. 1. Drain the fuel the same way you would if you were storing the engine at the end of the season. This may require unscrewing a bolt on the bottom of the carburetor, removing the float bowl, or tipping the motor to pour the fuel out of the tank. 2. Disconnect the cable connected to the throttle and the cable or springs connected to the choke. Unbolt the carburetor and separate it from the engine. 3. Turn the carburetor upside down and remove the large bolt that is now facing up. This will let you lift off the float bowl. It may need a couple of taps to help separate it from the seal. 4. Slide out the pin holding the float to the carburetor. Gently lift up the float: a small bump can dislodge the pilot jet. 5. The main jet can be unscrewed with a small flathead screwdriver. If the jet won’t slide out, try pushing on it from behind with a small Allen key. 6. The jet should be cleaned with a carburetor jet cleaning kit. These thin needles can push out any debris, but care should be taken not to scratch the jet opening, which can increase the jet size, adding too much fuel to the intake. 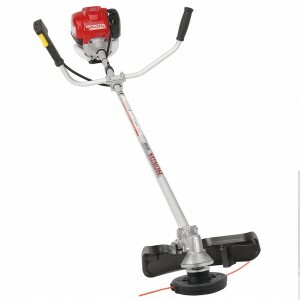 Replacement jets are inexpensive so it may be easier to just put a new one in. 7. 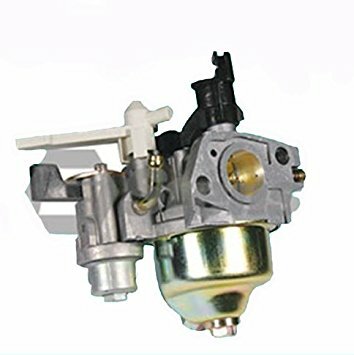 Spray the inside and outside of the carburetor with carburetor cleaner, ensuring all holes flow freely and the throttle and choke move without sticking. If the pilot jet is clogged, it can be accessed by removing an adjustment screw on the outside of the carburetor. If there is a small metal tab on the top of this screw, pull up on the head to reveal the true end of the adjuster. 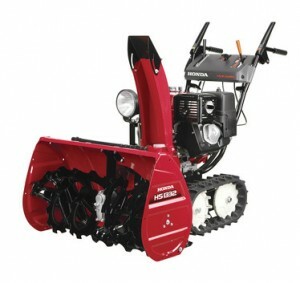 Check the service manual for the correct position of the adjustment screw when reinstalling. Reassemble in reverse order, replacing old parts with new ones and cleaning around the engine to prevent any debris buildup from entering the intake port. 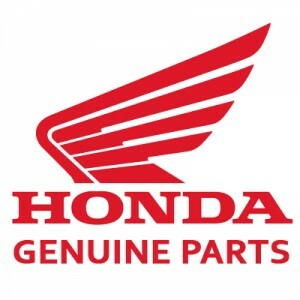 www.hondalawnparts.com is a certified Honda Engines dealer, letting us offer the full line of OEM components, accessories and tools including carburetor jets, seals and rebuild kits. Our site has built-in factory diagrams, making it easy to find the parts you need, and we can ship those parts to any address in the U.S. or Canada.